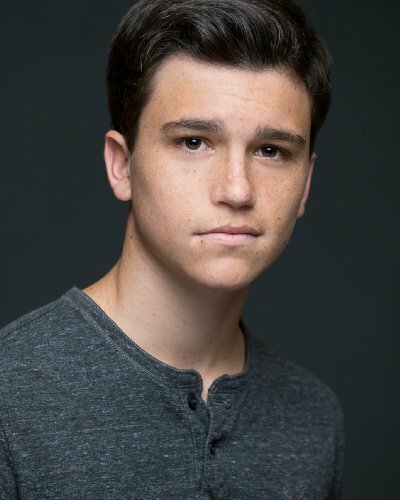 Kalama Epstein is currently starring as Noah on Freeform’s family drama, The Fosters. As the character of Noah has begun to develop, we’re discovering there is more to him than initially meets the eye. His arrival in Jude’s life may cause more trouble than either boy bargained for. Talk Nerdy With Us had a chance to catch up with Kalama and learn a bit about his journey to The Fosters as well as what the experience has been like and what we can expect to see coming up. Read on to hear what Kalama had to say! I grew up watching movies. My parents took me to some kind of theater every single week, seeing at least one if not two or three movies a week. I grew up and I fell in love with film. I was constantly watching movies. And it clicked from a young age, around seven, that I wanted to be a director. I started taking acting classes to better direct my actors in my short films that I was making, whether it be my cousins or my friends. I slowly fell in love with acting, too, and I figured first of all acting is a great way to get into the business because being a director is incredibly hard. And I fell in love with acting; I fell in love with the craft and becoming these characters. Were you watching The Fosters before you got cast on the show? I had heard of it and I had seen a few episodes here and there because I had a lot of family who watched it and my best friend is a huge fan of the show. So I had heard her talking about it all the time, and I had seen a couple of episodes, but I had never fully watched the show until I got the audition for it, and then I watched a couple of episodes and then I got cast, and then I just started watching it. I really truly do love the show. So what’s it like coming onto a show that’s been around for three full seasons and being the new guy? You know, I think it’s a lot of fun because of the fact that it’s already had this fan base. It’s this huge fanbase and they’re all very very active on Twitter. So it’s a very different experience than when I did ‘Bella and the Bulldogs’ on Nickelodeon which I had been a love interest on the first season, but the show was still trying to pick up a fan base and pick up viewers. So it was a much different experience than that coming on to a show in its fourth season with such a huge fan base, I mean my Twitter just got flooded. (laughs). It was a crazy experience getting to just jump straight into it. As soon as people found out that my character was going to be on the show, they just tracked me down. Especially knowing that Jude and Connor (“Jonnor”) in the earlier seasons were a big fan favorite, how has the response been toward you about the budding romance between Jude and Noah (“Joah”)? I was worried when I signed on and found out that we were going to be Joah, this couple. I worried because of the Jonnor ship, because of that relationship, and I did not think fans were going to take this lightly. I have been very surprised by all of the reaction. From the feedback I’ve gotten they love it, they love this relationship which I was very surprised by. A lot of them are sticking by it after they ate edibles and got high. After Noah got Jude into pot they’re still sticking by this ship. So I’ve been very surprised by the responses we’re getting to these characters. Is there anything you can tell us about what’s coming up for these two? Well, first of all, [in last week’s episode] you get a little hint of where it’s going. Noah definitely creates quite a conflict. He has great intentions about what he does, but his execution’s not the greatest. So there’s a lot of drama, a lot of conflict, coming up. You’ll start to see how Noah’s involvement in the show, what it’s doing to Jude. As you saw last week with Callie’s interaction with Noah, she tells him to basically screw off to stop getting him high because she figures it out. That’s going to really start to show, how that affects Jude, his family getting into conflict with Noah. He finally has somebody he likes since Connor and Callie is trying to mess it up. Are there any other projects you’ve got coming up that you want our readers to know about? I do have a short film that I’m in, but I don’t know how it’s going to work because it’s going to be traveling around the film festival circuit so it probably won’t drop online for a little while. So there’s nothing as of right now, we’re on hiatus for The Fosters, so we’re just waiting to go back. So you will be back for the second half of Season 4? (laughs) We will definitely be seeing more of Noah. It always seems like the most fun set to be on, so I just wanted to ask you about your experience guesting for an episode. Oh, that was so much fun. Such a fun set. All the different actors on the show and who we were working with. First of all, my lines, I didn’t have that many lines but the ones I did have were a lot of fun. We got to play with facial reactions, you know the other characters reacting to us being little shits. (laughs). I would love to go back and do another family episode. The director of that episode was a Hawaii guy too, so we instantly had a connection, too, which was great. Our site is called ‘Talk Nerdy With Us’ so we like to know what people love to nerd about. What I love to nerd out about? Ooh many things. I’m a huge gamer. I love video games, love comic book films. Everything from any movie to any video game, I’m a huge fan. I’m a console gamer so all the PC people are going to hate me for that. (laughs). I love Game of Thrones television, I know I need to read the books. So yeah, I’m a huge Game of Thrones nerd, a huge video game nerd, and huge movie nerd. Those are the things I can really get into. Catch Kalama Epstein on new episodes of The Fosters, Monday night at 8/7c on Freeform.